Venice once called itself the "Most Serene Republic". The republic's "serene" reputation rested on its preference for economic over military conquests. That didn't stop it from waging a few battles to gain economic muscle. In medieval times, the title "most serene" also referred to a sovereign. The "republic" was the most serene, the highest sovereign over any doge, the elected head of state. It lasted a millenium until Napoleon took care of that in late 1700s. The republic was patterned after ancient Greek democratic states. 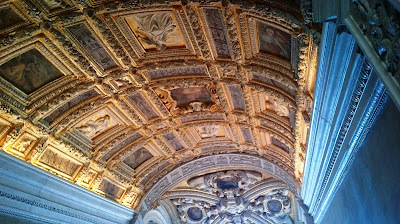 The impression one receives after visiting Palazzo Ducale, the seat of government, was less than democratic. It was a democracy but only of the elite, for the elite and by the elite. A millenium of economic prowess and progress created Venice's unique and fantastic cityscape. The city built on the wetlands of the Venetian lagoon in the Adriatic, and supported the structures with thousands of wooden piles. The life of Venice literally and delicately rests on these wooden supports. Years of reclaiming, piling and building has given La Serenissima the feel and look of an outdoor museum. The whole Venetian lagoon is now a UNESCO World Heritage site. There are no electric vehicles of any kind on the islands, just a variety of boats on the waterways: water bus, water taxi and the iconic gondola. The city is best experienced just as the locals do: on foot through calles, soportegos and cobble stoned campos; over arched bridges that connect streets, or on water by pricy "buses" at 7 Euros for a single ride, point to point. 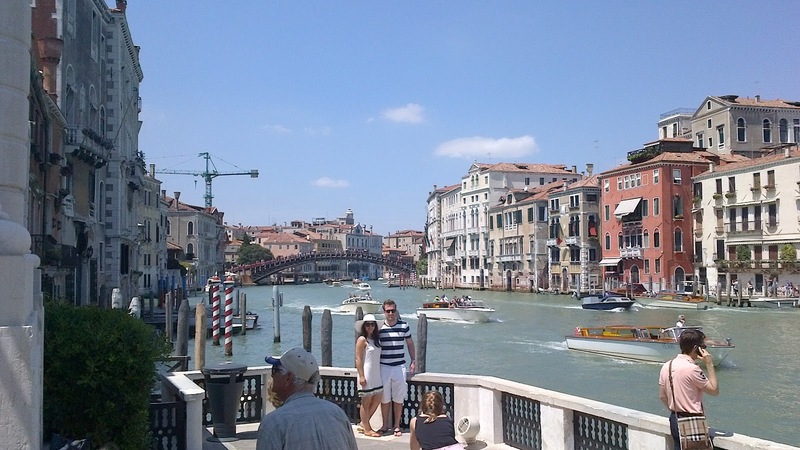 Last July, I discovered that 3 days of traipsing in the hot sun did not give me enough time to venture beyond San Marco and the neighborhood of Academia in Dorsoduro. One can overdose on museums, churches and palaces in such a short time. Beyond the standard tourist fare, there is a lot more one can do and see without actually stepping into another church or museum. Just wander around. 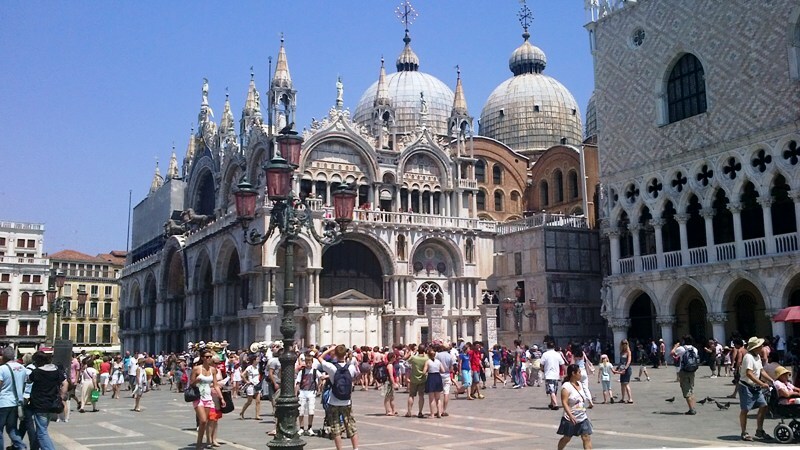 La Serenissima is also renowned for its art, music. Vivaldi is of course true blue Venetian. The Biennale hosts a famous film festival. 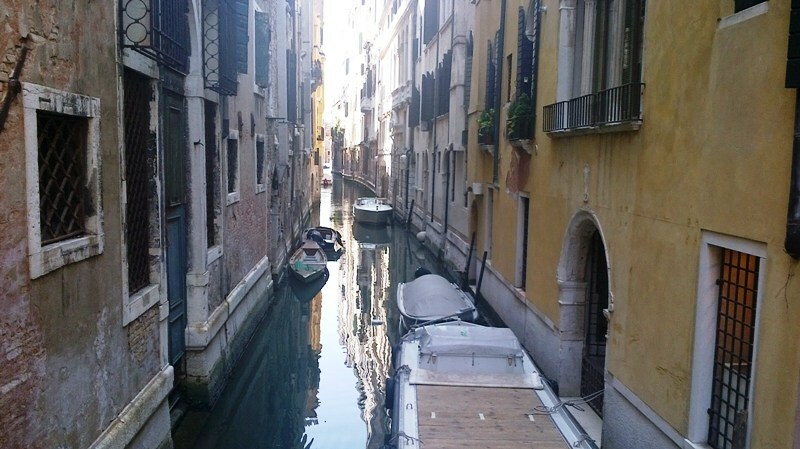 There are masquerade masks, Murano glass ware; little shops and cafés; more islands in the lagoon, side streets with houses wearing the face of history. On a more mundane issue, I asked the lady at the reception what happens to the sewage of these wall to wall houses. Simply she said, they have sewer lines. 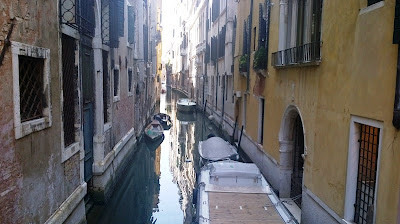 Not too long ago, the canals served another purpose according to a non-Venetian lady friend. The most serene commune of Venice has definitely taken care of that matter.